There has been a lot of talk in the media about the spectre of the European Union, about British Sovereignty and about fighting rule from abroad. For the purpose of reading this article I need you to forget about all of it, as the European Court of Human Rights (ECtHR) is a different issue to who decides the length and shape of our bananas! 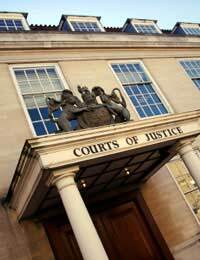 The Court itself was started in 1959, based on principles set out in the European Convention On Human Rights . It is based in Strasbourg and considers cases initiated by organisations, states and individuals against any country which has signed up to the convention; namely, most of the European Nations. It is run by the The Council of Europe; the human rights body. Any country that has a decision against it must comply with the ruling of the Court, although the Court itself cannot enforce anything. Essentially the Country is bound by the fact that it is a member of the European Union . The Court consists of 46 Judges, one for each country that has signed the European Human Rights Convention; they are elected by the Parliamentary Assembly of the Council of Europe to serve 6 year terms. They may come from all the different countries but they do not represent their countries’ interests in the court, they are individuals who must be completely impartial. The cases the court hears are many and varied, ranging from discrimination to the mistreatment of prisoners and from human rights abuses to improper trial conduct. The majority of the member states (including the UK) have already adopted the principles of the convention into their own laws, so the European Court will only get involved when every other domestic legal angle has been tried. Basically anyone, but you must be able to prove that you have been a direct victim of a violation of your human rights and you will not be able to bring a case against an individual or a private body. So is it Just a Last Resort? It could be seen as such, but if you are bringing an action against the UK Government for an alleged breach of human rights then it is comforting to know that the ECtHR is there as an independent arbiter. The ECtHR has been able to hear complaints about the British Government for more than 50 years but it is only since the appearance of the Human Rights Act that British lawyers have been fully aware of the ability to appeal against domestic decisions; however this is a court of final appeal and their decision is final. The European Court of Justice is the highest court in the European Union; it does not deal with actions regarding Human Rights, it deals with the administration of EU Law and it can overrule judgements made in national courts. So the ECtHR is a Good Thing? Absolutely. It is all very well for a country to sign up the Convention but if there is no outside port of call for redress then surely it is just an exercise in futility? Despite the fact that they cannot enforce their rulings, they can show the member state to be hypocritical on the European stage; this could severely damage inter-state relations and it makes the rulings of the ECtHR much more than mere blustering from another country. The ECtHR is there to ensure that our religious and civil rights are not abused by our Government, and that, irrespective of the circumstances, we are treated as human beings. My daughters are at a very good , high achieving secondary school. The school has recently adopted a policy that no students can use the toilet facilities during lesson times and if they are late for their next lesson due to toilet visits between classes they are penalised by having to loose break and lunch times. Surely this breeches all humans basic rights to fair treatment and is a complete block to learning of students can't go to the toilet , let alone girls of a difficult hormonal age and all the self confidence issues that brings with periods etc. The teachers do not allow toilet trips in any circumstances without humiliating extreme details and then are treated as if they have done something wrong by asking to go and are penalised by having to return to class to make up the time lost. Many schools have a policy of only allowing pupils to use the toilets at break time or lunch time, but will generally make allowances if a child is unwell etc. If there are insufficient toilets in a school, meaning it's not always possible to use the toilet at the requisite times, then you should make a complaint to the school's management team or governing board. My daughters are at a very good , high achieving secondary school . The school has recently adopted a policy that no students can use the toilet facilities during lesson times and if they are late for their next lesson due to toilet visits between classes they are penalised by having to loose break and lunch times . Surely this breeches all humans basic rights to fair treatment and is a complete block to learning of students can't go to the toilet , let alone girls of a difficult hormonal age and all the self confidence issues that brings with periods etc . The teachers do not allow toilet trips in any circumstances without humiliating extreme details and then are treated as if they have done something wrong by asking to go and are penalised by having to return to class to make up the time lost . My interest only mortgage has come to end of term, and the endowment failed years ago. My partner has had a bone marrow transplant to try to cure acute myeloid leukaemia, and needs time to recover. However the once mortgage company is now being run by an asset management company, and they are determined to re posses the property at any cost to us. Any ideas from anybody would be appreciated. I feel this stress will kill my very weak and ill partner. Take the details of your mortgage and other financial information to a Citizen's Advice Bureau, they should be able to point you in the direction of help. Hi, My experience of European law (France) and the ECHR has turned me from a once europhile to staunch anti EU advocate. I am pretty convinced, on a larger scale, the EU is just an excuse for the European aristocracies, largest corporate powers and banks to enslave people through bureaucracy, powerlessness and isolation by vague, faceless functionaries. The ECHR offers nothing to the individual trouble. Everything sounds great and reasonable until you actually want to use it. Then you discover its all just smoke and mirrors to distract individuals from a quiet creep to Orwellian technological dictatorship. Hitler was democratically elected. In soviet Russian everyone was obliged to vote by law. Central Europe (the power brokers of the EU) have always had cultural propensity to central control, dictatorship and enslavement throughout history. The most terrifying development now is that most EU nation government directly access peoples banks accounts with no warning, no legal hearing or recourse, to take money without warning. People think it just happened once in Cyprus. Cyprus was just a test bed. 10 states now, including France and Germany, are regularly doing it. Recent European think tanks now have suggested all personal citizen income should be paid to the tax authorities from where a refund will be repaid to the individual by the government. The EU is the rise of the second soviet union. And they are hell bent on bringing these procedures into the UK. If I owned a property in France. Some years later, a former owner turned up with a debt lien totally unrelated to me as an individual. After 10 years (yes, 10 years) the issue is still unresolved. Even though I won cases against French state authorities and the judiciary system. The ECHR and court of justice absolutely never enforce their grand words and there is nothing you can do as an individual to fight European courts, state bodies and statutes. It is a ever ending rabbit hole of faceless bureaucrats, vague legal wordings that are designed to be ambiguous and flexibly interpreted. The aim being to beat the individual by attrition and finance. You cannot possibly fight European state bodies when they have unlimited finance via taxation and the printing press (central bank). You will be left trying to get answers and identify responsible officials in some far off land behind the walls of a non descript building guarded by armed police and security barriers. There are British home owners in Spain who are now entering second or third decades of ECHR proceedings with no resolutions regarding their seized properties. The ECHR and court of justice are charades. UK MUST leave EU now before the creeping tentacles of the EUSSR have enslaved us all and boiled our proverbial frog through negligence and apathy. I applied for my Army preserved pension back in February/March to the MOD of the UK government as due to injuries sustained while serving and other multiple physical deteriations of my health i am unable to work full-time anymore,i was informed by letter from the pensions agency in Glasgow to allow 2 months for a reply and if none recieved to get in touch.I am a proud veteran so i waited until they(MOD or pensions agency?) had wrote to my GP,which they did in June until contacting the pensions agency again and they informed me that my case was with the MOD and gave me a contact number for them,so i phoned and was told someone would contact me within 2 weeks,i am still waitingand have got to the point now where i am sick (partly due to a condition caused by my service) of the anxiety and distress the MOD have caused.Their system is obviously broke somewhere but that is NOT my problem.Personally i honestly think they have looked at my GP's and other relevant medical evidence and understood that due to my medical conditions should they wait long enough before sending me a decision that i may harm myself to a point where i may threaten my own life thereby saving the Queens government £300 and odd quid a month(my war disablement pension) and any other UK government benefits paid to myself should they succeed,this is the only reasonable explanation i can think of otherwise Mr Cameron would surely honour the UK goverment's Military Covenant. I have a bell across the street here which chimes 24/7. The council doesn't want to know and basically given it the red light to make adjustments and increase the sound when ever they feel like it. I can hear it while watching TV, I can hear it while in my bedroom, it's all around sound 24 hours a day. I am now retired and being brainwashed every hour of my retirement, there is no way of getting away from this noise. And yes I did hear it while looking at this property way back in 1998, but I was working then and only home in the evenings and weekends. Now I'm sitting here in my house and being blasted through my front window 24 hours a day, it is louder than it was in 1998. Our best friends have just been advised that they have lost their property they purchased in Kusadasi Turkey back in 2005. Wealso purchased our property in 2004 and got our TAPU (title deed) with out any problems. They did everything by the book employing a solicitor etc. Last month, their solicitor advised them that the court had decided in favour of the land owner who now can take any property which was built on his land, as the builder had not paid him in full for the land. In short our friends have lost a property and a further £12,000 in solicitors fees and debts. An American, a Russian, and 2 British families have also lost their properties on the same site yet all of the Turkish families have got their TAPU. This cannot be coincidence and something is fundamentally wrong. @Wench. If you are in tied accommodation and are no longer working for the company, then they can evict you. Go to your local Housing Office and ask for advice about council housing. You could also try the Citizen's Advice Bureau where they'll be able to tell you whether the landlord has followed correct procedures and perhaps also be able to put you in touch with other private landlords in the area. My husband has been dismissed from work and we have an eviction notice served in our tied acomodation. We have a disabled bathroom installed for my husbands needs and he is a blue badge holder. We pay rent and full council tax. We have four dependent children. Can we really be made homeless? I need urgent help to take a case to the ECHR. It is a family matter. My children and I have had our right to family life violated and have been discriminated against. I need somebody who knows who can give me some time to look at my case. I cannot afford solicitors. I need a volunteer or benefactor who can help me pay for somebody to look at the case. My elder daughter is badly affected by this. Please I need help. @DizzyDi. Yes unfortunately this is due to legislation changes in the Pensions Act 2014. It is unfair to those who have been planning to retire at 60, but the 'cut off' period to introduce it had to start with a certain age group we guess. As a disabled and had a list of events and attacks to me and my well being and medical negligences ,OR misleading , whatever you want to call it~(and without speculating , of course) , i strongly believe that human rights and constantly being ignored or even abused by the law.No doubt we are gong backwardsmedieval times in the technological era .I hope common sense and decency will prevail , after all those who are directly paying for injustices . I had finished my sentenced in January. But they still hold me coz I am a alien from another country. I spent my all life in England but they didn't understand. They ruined my life. I have got still hope one day I 'll b release. U.K.goverment is saving money they cutting in every single field but they didn't tell how much they spend and where? Annually cost of one detainee is between $20,000 to £25,000. What about single prisoner? between £30,000 to $40,000 a year. Mostly peoples they don't know. Why media didn't ask to U.K.goverment where is the money gone? and debt is near Triple. What we do? I am not British but I spent my all life in Britain. I knew all G.B. history most British citizen don't know. even They don't know national anthem but they r British citizen. I knew national anthem but I am alien. A Portion of land conveyed to me, but the authorities suggest I have failed to comply with the conveyance, although, the architect turning moment calculations were approved by the school, from where I purchased the land, which demonstrates, calculations for both 3ft & 6ft retaining boundary wall calculations. The retaining wall in question, has been in place for over 20 years. about finding ways to live. can you find a good lawyer?